Photo by John Wallace, NOAA/NMFS/NWFSC/FRAMD. We’re working to identify fishing grounds with a high potential for illegal or unreported fishing activity. Many vessels regularly broadcast safety information, called Automatic Identification System or AIS data, identifying who they are, where they are, and how fast they’re moving. It’s this AIS data that gets analyzed and mapped by Global Fishing Watch. But it’s not uncommon for fishing vessels to stop broadcasting while at sea – or for them to rendezvous with refrigerated cargo vessels – raising suspicions of illegal fishing activity. So, how do we monitor the activity of vessels that may not want to be seen and that aren’t broadcasting AIS data? We’re using radar imagery collected by the European Space Agency’s Sentinel-1 satellite to detect and track vessels not broadcasting their identity or location, and we’re trying to use this information to identify fisheries where the potential for illegal or unreported fishing is high. 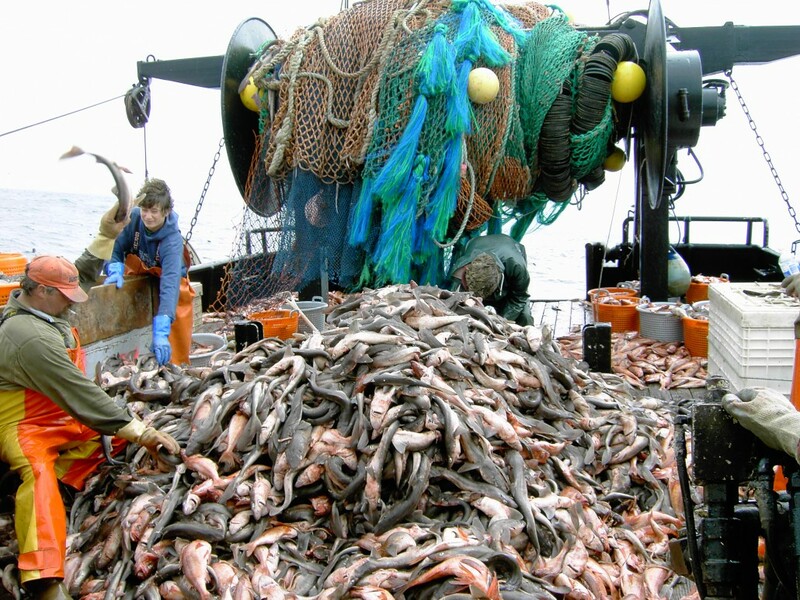 A more accurate picture of fishing activity creates opportunities for revised management actions like changes in catch quotas or, where necessary, increased enforcement.